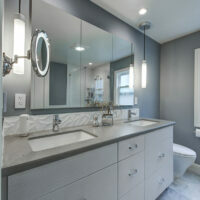 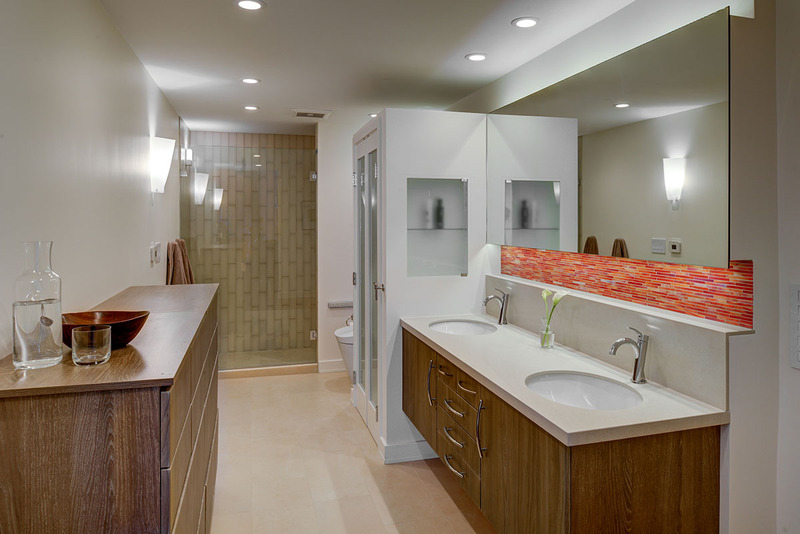 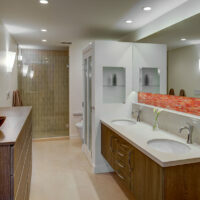 Gilmans Kitchens and Baths offers full access, frameless cabinets for clients who desire European cabinet construction. 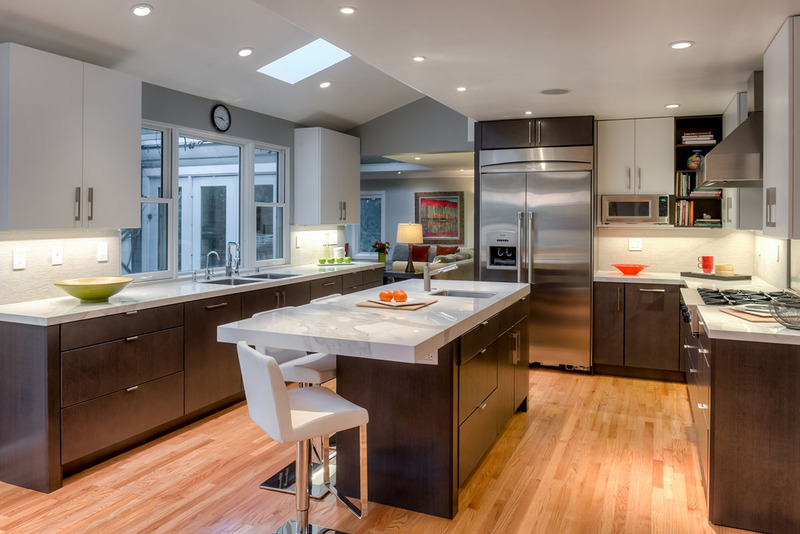 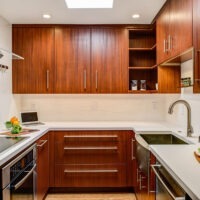 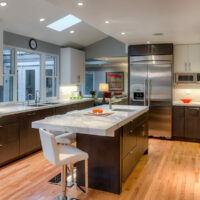 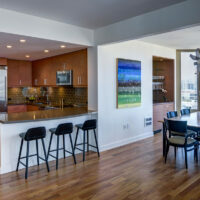 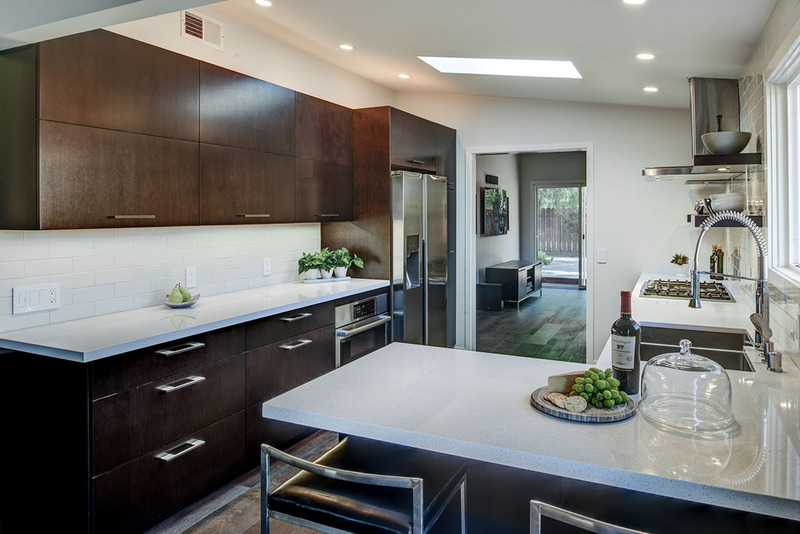 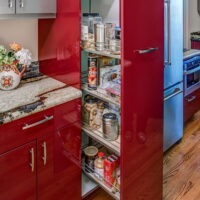 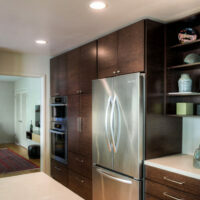 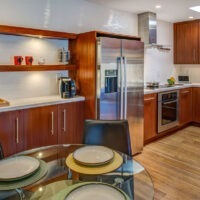 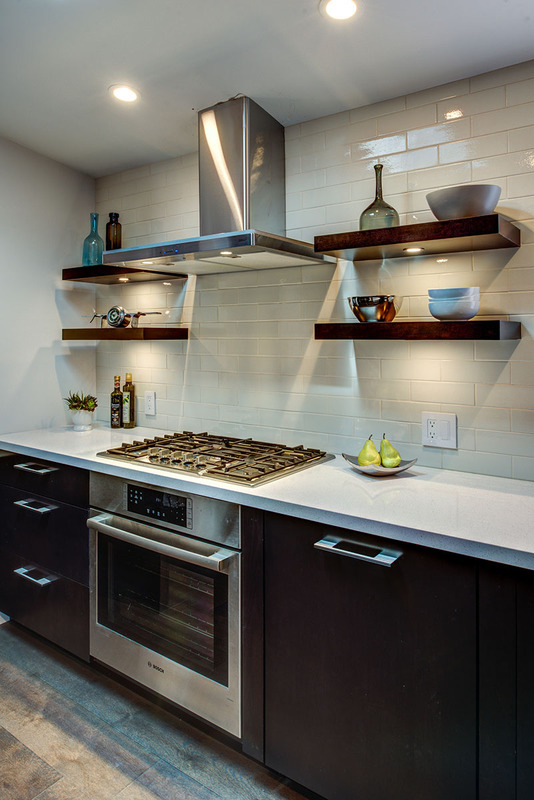 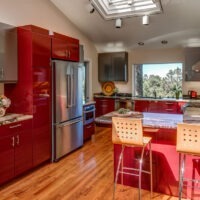 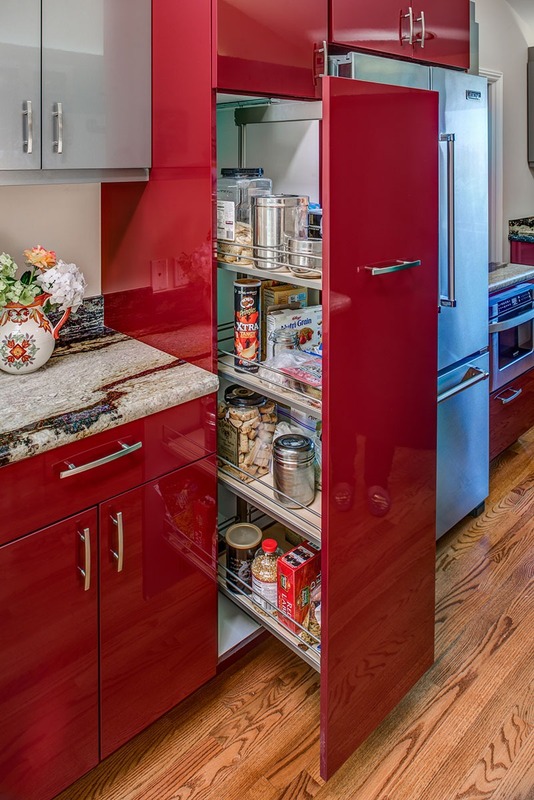 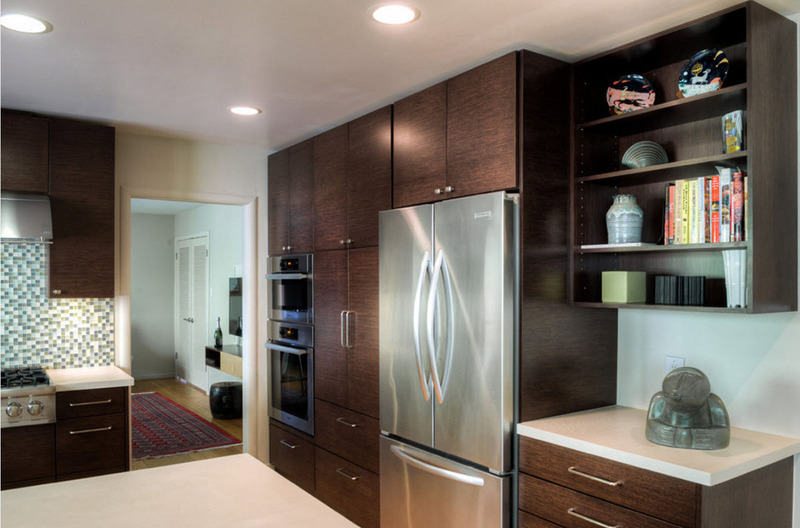 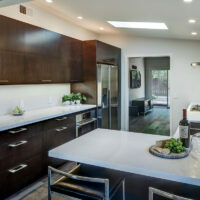 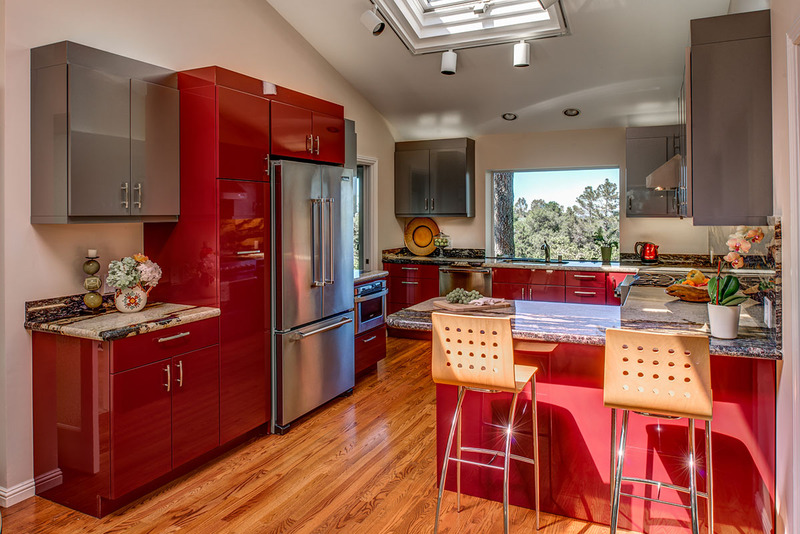 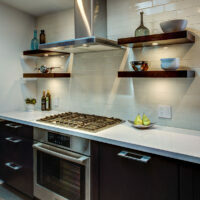 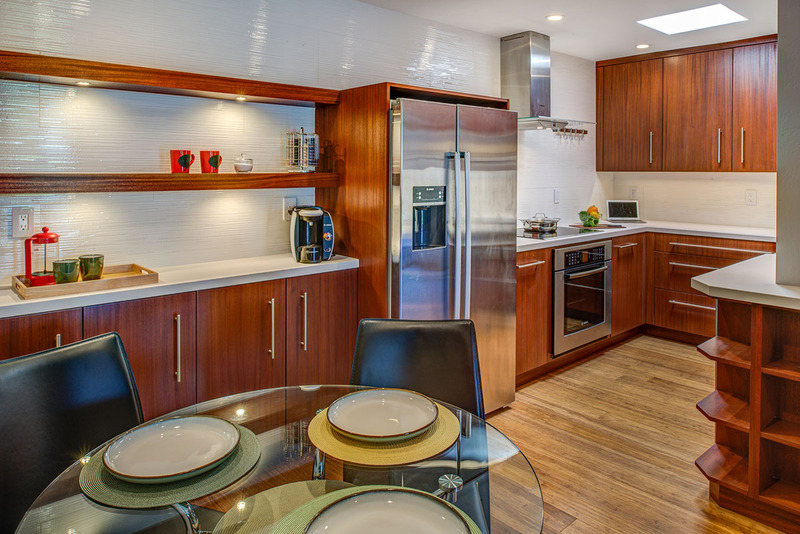 Frameless cabinets allow more storage space in a kitchen, as well as a clean, sleek look. 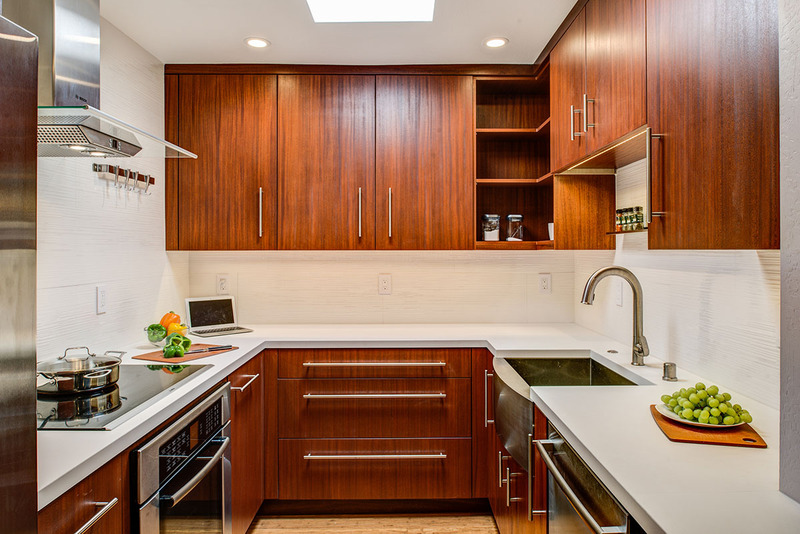 Contemporary kitchens and bathrooms tend to be minimalist, linear and often feature man-made or engineered material such as wooden veneers, wired or textured foils and high gloss cabinet doors, although natural wood doors are also used in contemporary designs. 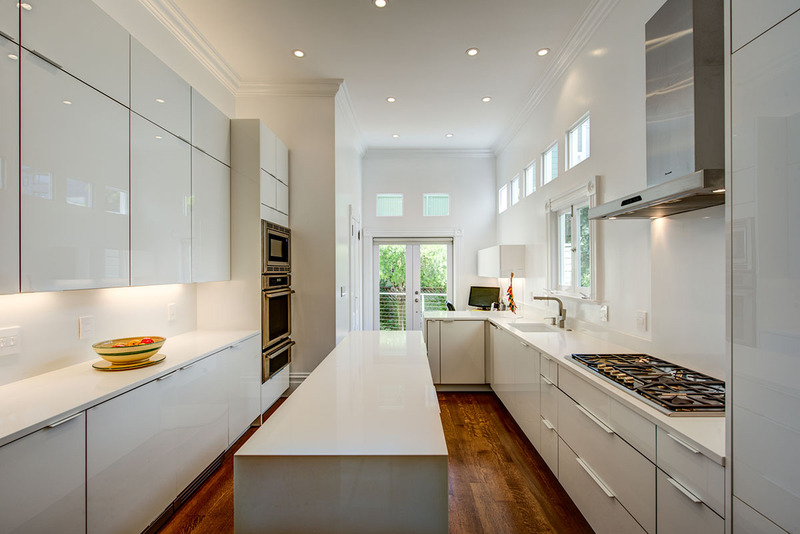 While modern design pertains more particularly to the early 19th century, contemporary designs are more of a reflection of what may be current in today’s design aesthetic. 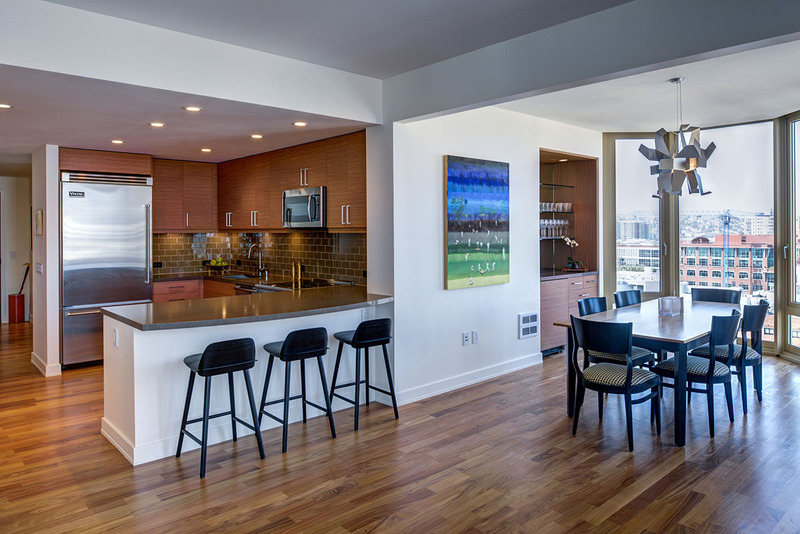 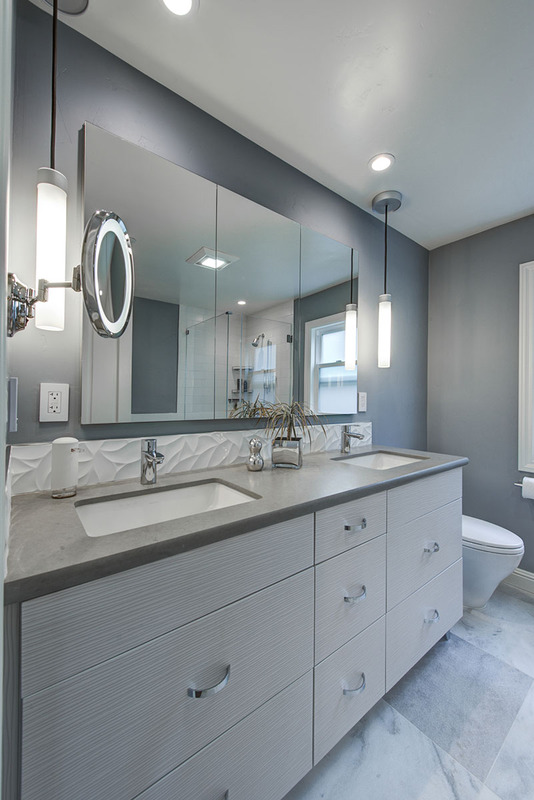 Although both designs feature clean and linear characteristics, contemporary designs may incorporate monochromatic finishes, less clutter, geometric, and ultra-sleek elements.